Carbide Saw Blade Manufacturer & Repair | Advanced Machine & Engineering Co.
AME’s Carbide Saws Design and Build Group sells and services saw blades in a variety of styles and tooth configurations. New carbide, cermet and thin-kerf blades are available, along with complete in-house facilities for sharpening, re-tipping, and repairing older blades. Speedcut can build and service blades as large as 80 inches in diameter, so whatever your application, you can make sure your blades are always sharp and ready for the rigors of high-speed, high-volume cutting. Speedcut designers can look at your unique application, take into account the kind of materials you cut, evaluate shop floor requirements, and saw specifications. Then laser cut, harden, and grind a blank into a custom-designed blade to fit your needs. Our blade-smiths use proprietary blade manufacturing machines to produce blades that are part art, part engineering, and designed to fit your application perfectly. 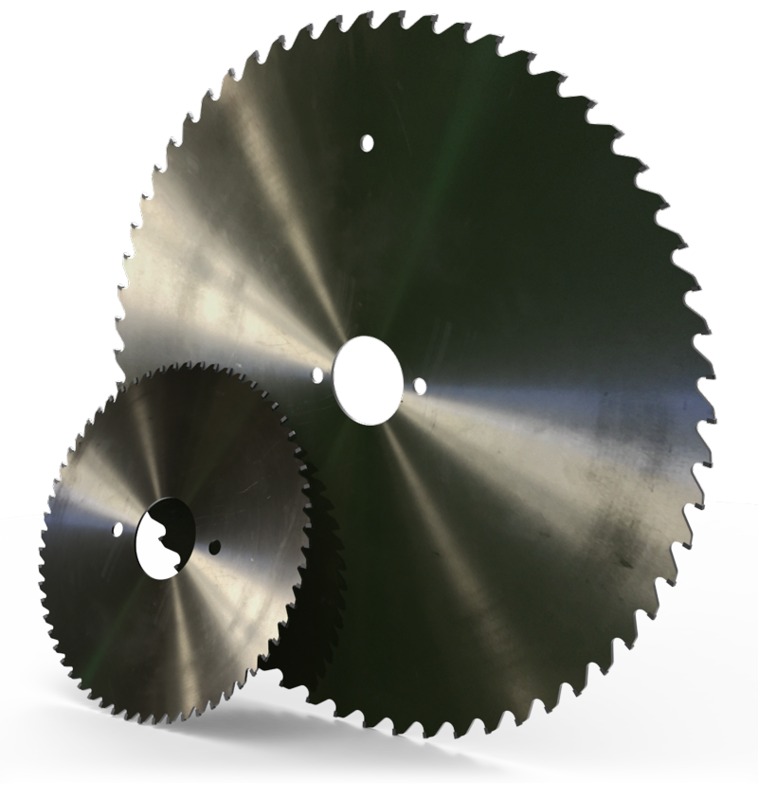 Common applications of cardbine saw blades include metal working, woodworking, and plastics. 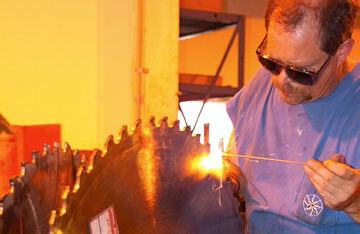 Our proprietary welding techniques allow us to restore a blade even when teeth and tips are missing. Blades that seem damaged beyond repair can often be restored by Speedcut and put back into service at a fraction of the cost of buying new. Virtually any size blade can be fully reconditioned from blade tip to pilot hole, so it’s ready to cut ferrous and non-ferrous materials, bars or billets, rails, profiles, pipes, and tubes.